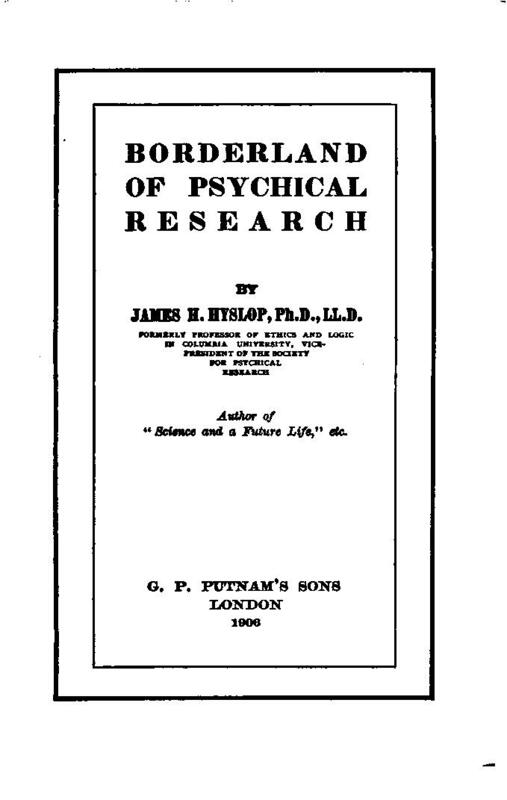 Over a hundred years ago James H. Hyslop (1906) published a book entitled Borderland of Psychical Research. This was a reference to conventional psychological explanations of unusual phenomena including the workings of hallucinations, memory, motor automatisms, and particularly the dramatic and creative manifestations of secondary personalities. Years later Charles Richet devoted a section at the beginning of his influential Traité de métapsychique (1922) to discuss what he referred to as the “talents of the unconscious,” or the creative capabilities of the subconscious mind to form personalities that simulated spirit-produced mediumistic phenomena. Unfortunately, the “borderland” seems to be neglected by many parapsychologists. Knowledge about hyperesthesia and unconscious perceptions should be useful to evaluate some ESP claims. Similarly, there have been ideas related to hypnosis and mediumship postulating the possibility of individuals learning to produce artifactual phenomena following on the expectation of clinician, researchers, and sitters. Another area is that of the action of the creative subconscious. In his classic work with Hélène Smith (pseudonym of Catherine Élise Müller) Flournoy (1900) explored the medium’s communications about a previous existence in India and life on planet Mars. This work was very influential in the development of the concept of mediumistic romances, and more generally, of the creative capabilities of the subconscious mind. 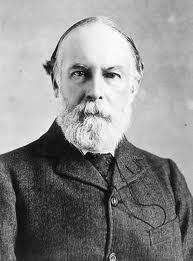 Frederic W.H. 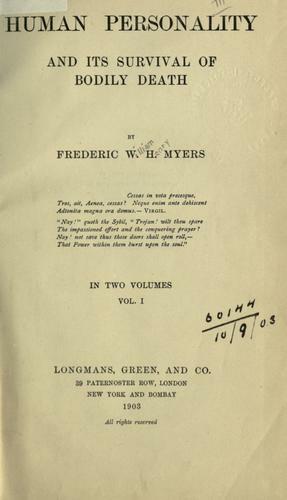 Myers was also important for the development of these ideas, as seen in many parts of his Human Personality and Its Survival of Bodily Death (1903), and in earlier papers. The concept of the creative subconscious included ideas of personation. René Sudre (1926) proposed the term “prosopopesis” to refer to “brusk, spontaneous or provoked changes of psychological personality” (p. 85) created by the subconscious during hypnosis, or in cases of possession, multiple personality, and mediumship. This concept preceeded Sudre, as seen in the work of Flournoy, Janet, and Myers, and continues to be relevant to evaluate current claims about the “channeling” of communications and literary productions. The “borderland” could also play a function beyond providing conventional explanations for the phenomena of parapsychology. 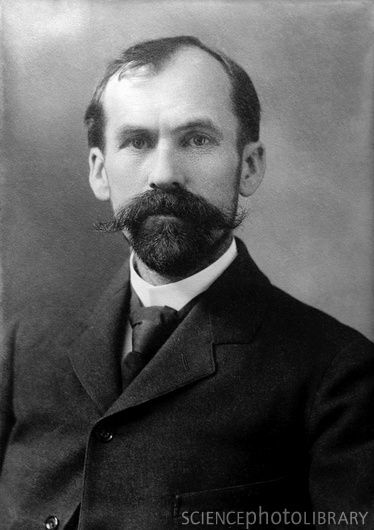 Myers (1903) did not limit his work to this, but he developed a theoretical model to integrate these “borderland” phenomena into a holistic view of consciousness. In this view these phenomena provided useful pointers about the nature of the mind, a nature intimately related to what we refer today as parapsychological phenomena. Our current textbooks and journals generally do not include the “borderland” as an area of concern for parapsychologists. One explanation for this is that these issues are not considered to be topics that belong properly to parapsychology, but instead are the province of diverse specialties of psychology. Furthermore, the field is much different today from the old days of Flournoy, Hyslop, Myers and Richet in that a good proportion of the work done today by parapsychologists consists of experimental work operationalized and conducted in such a way as to lead us to ignore a variety of phenomena and theoretical issues that are more relevant when other approaches and phenomena such as mediumship are studied. Our neglect of these issues (and this has not been the case with everyone in parapsychology) has left these areas in the hands of outsiders (Neher, 1980; Zusne & Jones, 1989), and in the field of anomalistic psychology. But they could be better incorporated into parapsychology. 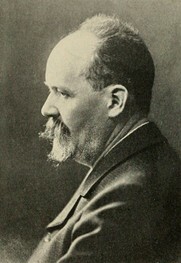 Hyslop, J.H. (1906). Borderland of psychical research. Boston: Herbert B. Turner. Neher, A. (1980). The psychology of transcendence. Englewood Cliffs, N.J.: Prentice-Hall. Zusne, L., & Jones, W.H. (1989). 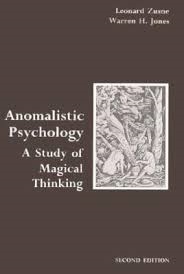 Anomalistic psychology: A study of magical thinking (2nd ed.). Hillsdale, NJ: L. Erlbaum. This was published before as: The importance of “borderland” phenomena for parapsychology. PA eNewsletter, Fall 2006, unpaginated.